“We’ve come a long way, Baby!” When Emerald Coast Aviation took over the Fixed Base Operation (FBO) contract for Bob Sikes Airport (KCEW) in January 2009, one of the very first things to be done was replacing the old fuel farm which could not be used because it was housed underground. We now have three above-ground takes with a total capacity of 32,000 gallons (40,000 gallons including our two new fuel trucks added in 2014). That same year, immediate improvements to the terminal building were undertaken. The bathrooms were updated, new tile was added throughout the building and a comfortable pilot’s lounge was added as well as a flight planning room. The terminal improvements were an immediate improvement, but they were only the beginning. In 2015, the current spacious and welcoming 5,000 square foot terminal was complete. We also enhanced the ramp and parking space around the terminal. This investment is part of ECA’s commitment to the County and the General Aviation Community of Northwest Florida. 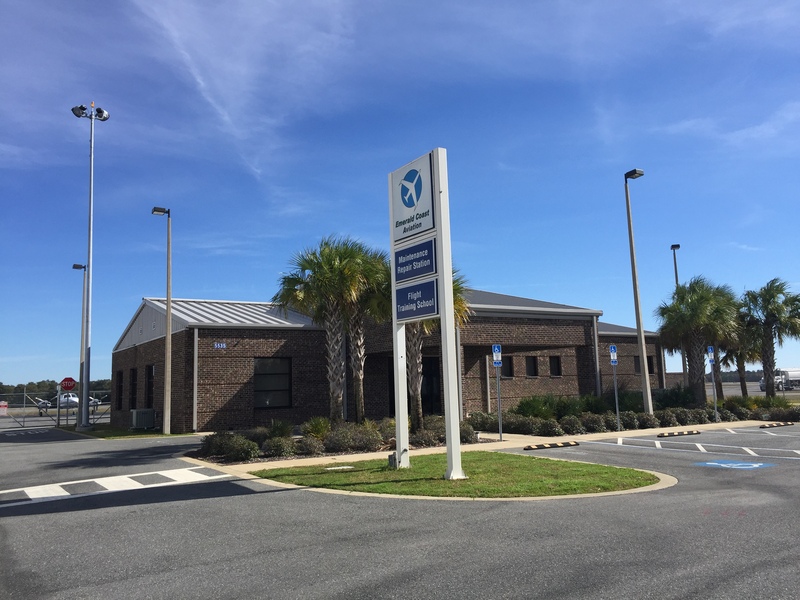 This terminal building now houses ECA’s corporate offices as well as a well-appointed pilot’s lounge with private shower and bathroom, a modern kitchen with meeting facilities, and a warm and comfortable lobby with seating to accommodate as many as needed. After ten years in Crestview, we have accomplished a lot but we are just getting started. We are committed to continuously improving and enhancing the guest experience for all who fly into or out of KCEW.